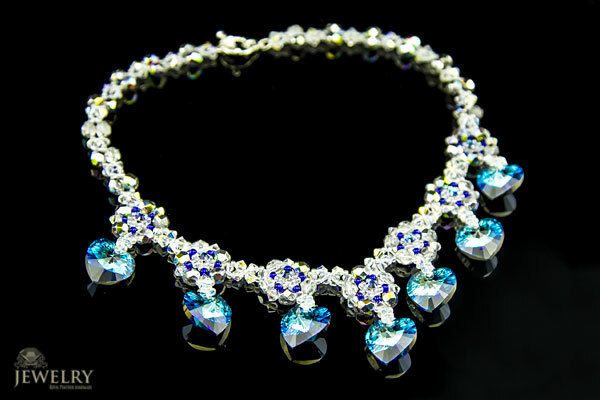 This elegant and luxury choker has 7 Swarovski Berm Blue hearts -18×17.5 mm. 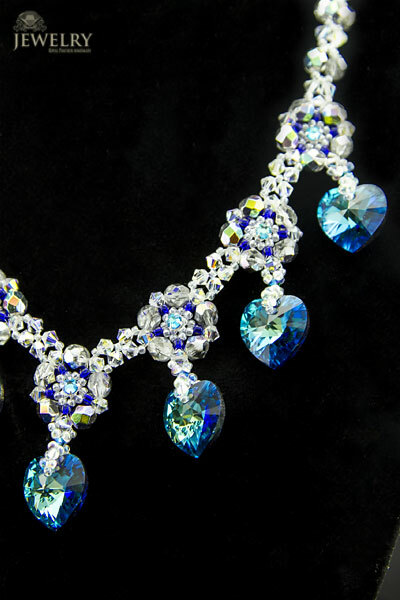 The Swarovski hearts are in mint condition with no chips or breaks in the girdle. 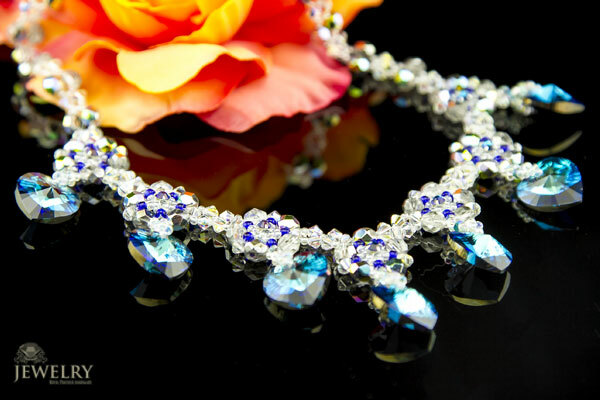 The choker weighs 60g and is very comfortable to wear. 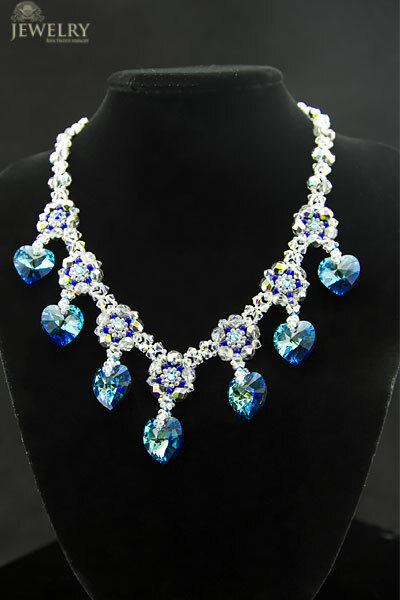 It includes Fire polished beads from Presioca and Swarovski montees.The choker is 45 cm long. 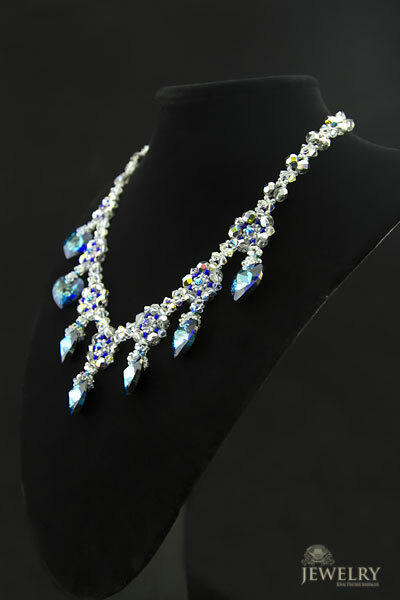 Makes a great gift for any Anniversary, Birthday, Holiday, or Special Occasion! You’re going to love it!